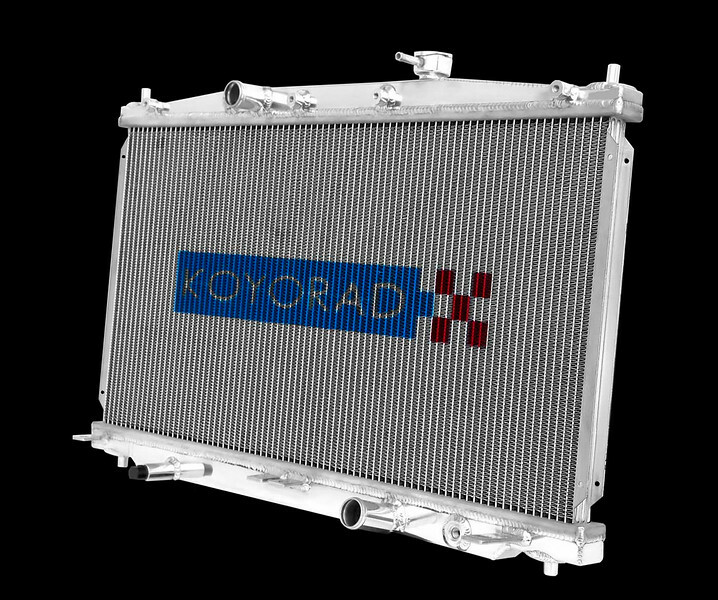 Koyorad is proud to introduce the first direct replacement all aluminum performance radiator for the 2011 Honda CR-Z Hybrid 6MT. This brand new application features Koyorad’s all new “KS” Series radiator core to maximize cooling efficiency in Hybrid vehicles. As always, Koyo engineered this radiator with precision, therefore it directly replaces the stock OE plastic/aluminum radiator and will bolt easily to the factory equipped fan shroud for a quick and simple installation. Koyo has also integrated a 1/8” NPT female accessory fitting (supplied with a threaded plug) to accept temperature sensors typically included with most aftermarket temperature gauges. This item was tested to fit on global market Honda CR-Z 6MT vehicles. Koyorad Radiators are hand welded for quality and precision with the finest materials available. Superior quality is a result of their tubes and fins being hand assembled, TIG welded, then triple pressure tested before packaging. Koyorad Japan oversees each stage of production since Koyorad factories are privately owned. These are a few qualities that set Koyo apart from their competitors and have earned Koyorad their reputation in performance radiators worldwide.